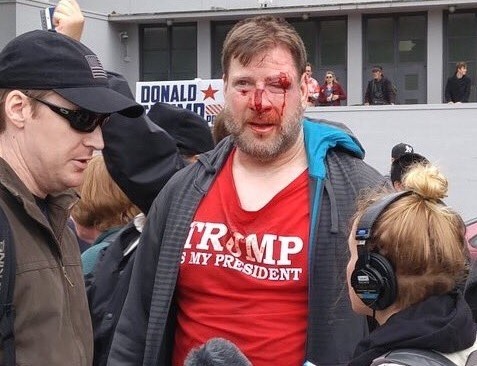 On a day that was meant to celebrate the President of the United States and show appreciation for his commitment to making America great again, things turned ugly in Berkeley, CA. At a #March4Trump rally, the same ANTIFA thugs that caused widespread chaos at Milo’s speaking event at Berkeley U., sparked a huge brawl. A number of rally goers were left bloodied by violent rioters. Other rioters burned hats at the rally. The leftists also stole a “Free Speech” sign and torched it during their rioting and attacks.